Do you fancy a natural night rest and a healthy breakfast in a green environment? Be our guest in ‘B&B De Stuifduinen’ and let yourself be pampered. 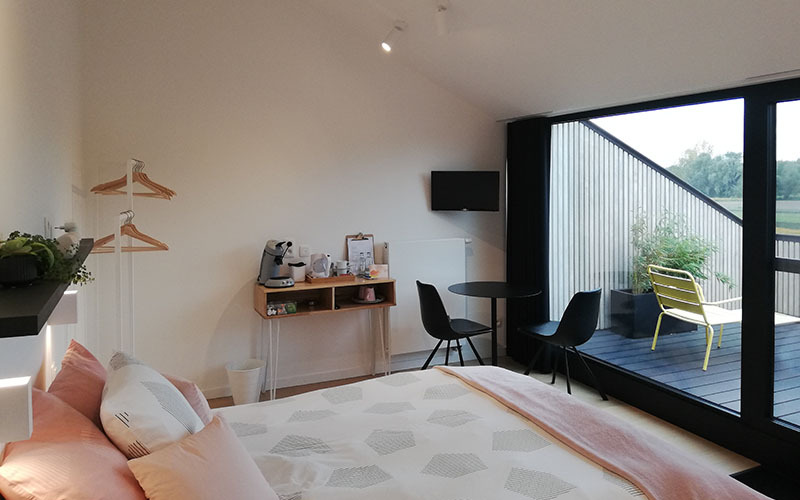 B&B De Stuifduinen is a haven of tranquility between Wetteren and Schellebelle, at walking distance of the provincial domain “Den Blakken” and “De Warandeduinen” (dunes). Due to its central location, it is the perfect base for a visit to Ghent, Dendermonde, Alost or a bit further on Antwerp, Brussels or Bruges. B&B De Stuifduinen is a bike friendly B&B. We do have 2 new rental city bicycles and a secure bicycle storage with charging point for electrical bicycles. Enjoy a walk ‘Along roses, dunes and stoves’ in the provincial domain “Den Blakken” or a bike ride along the Schelde. Or take the ferry in Schellebelle and go for a walk in ‘De Kalkense Meersen’. 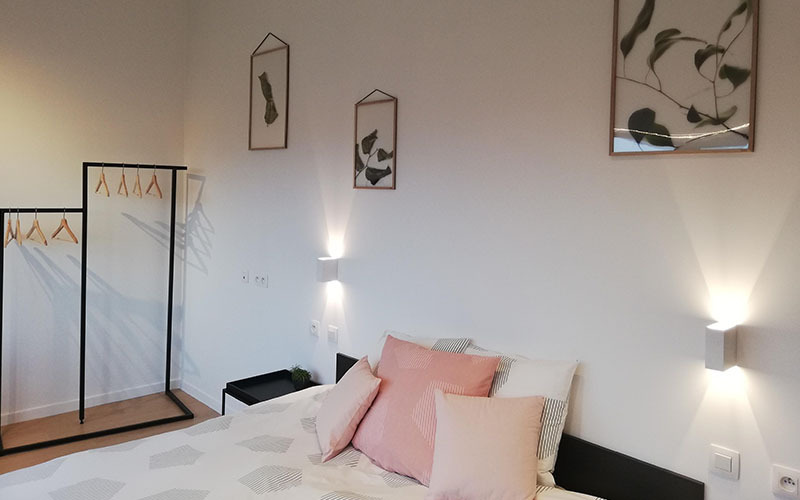 Repose on the private terrace of room Ochtendzon or Avondzon with a glass of champagne and a magnific view over the Schelde landscape, the arboriculture and the sand dunes. Breakfast is served in your room. If the weather is good, you can have breakfast on your private terrace. It contains several types of bread, local specialties and fresh products. On the first floor there is a collective kitchenette for our guests. Or discover one of the good restaurants in the neighborhood.